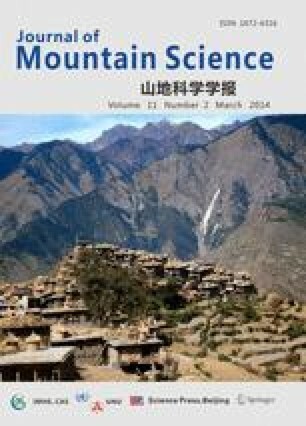 Damage assessment for slopes using geographical information system (GIS) has been actively carried out by researchers working on several government organizations and research institutes in Korea. In this study, 596 slope damages were examined to identify the types of damage associated with dip angles, dip directions, and heavy rainfall resulting from typhoons in South Korea. Heavy rainfall of 100 mm to 300 mm resulted in 80% at the investigated slope damages. A GIS database was developed for highways, rainfall, soil or rock geometry, and types of damage. A grid of rainfall intensity was generated from the records of maximum daily rainfall. Contours for slope damages and heavy rainfall using optimal GIS mesh dimensions were generated to visualize damage patterns and show substantially strong correlation of rainfall with slope damages. The combination of remote sensing with the GIS pattern recognition process described in this work are being expanded for a new generation of emergency response and rapid decision support systems.